Included in Antiquorum’s Important Collectors’ Wristwatches auction on June 11 in NYC is the King of Cool’s 1967 Rolex Submariner. McQueen wore the watch for many years (right) and it can be seen on-screen in his very last movie, 1980′s The Hunter. 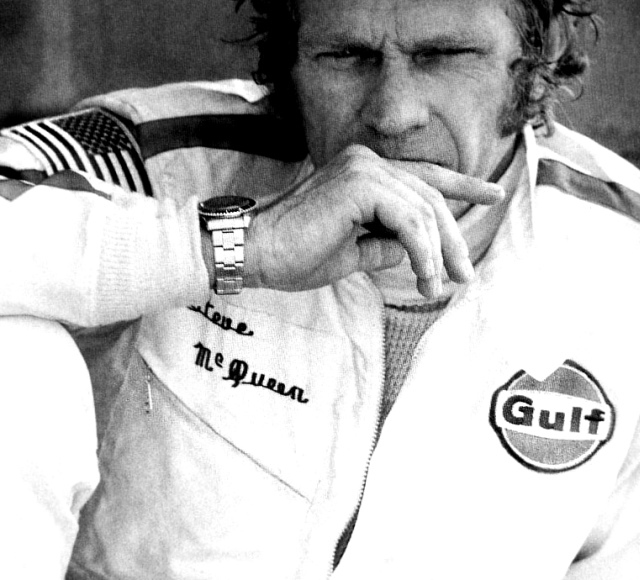 Also included in the sale is the 1969 Heuer Monaco chronograph McQueen wore in 1971′s Le Mans, a pretty iconic watch in its own right, as well as a the actor’s vintage 1929 Scott motorcycle customized by Von Dutch. This entry was posted in Classics, Style and tagged auctions, Rolex, Rolex Submariner, Steve McQueen, watches. Bookmark the permalink.